Hey girls!!! 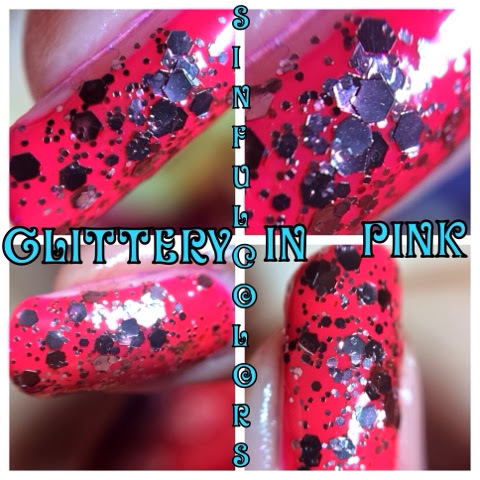 I have another set of SinfulColors polishes swatched for you from the sheer lustre glitter top coat collection. This collection sales for $1.99 at Walgreens (they seem to get all the best polish!) and is perfect addition to anyone's collection. This is the full collection and I already own Sapphired Up, so I was excited to get Top Me Off and Glittery In Pink. Girls Best Friend has been added to my want list and I'm on the hunt! So on to the swatches! This is a macro of Top Me Off over Light a Candle by Nicole Opi. I love the mix of blues with the holo hex glitters. 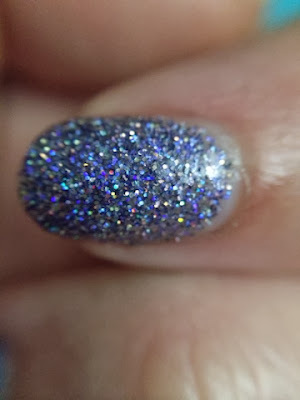 This color is crazy sparkly! These next pictures are 3 coats of Top Me Off by itself. Like this polish it rocks! 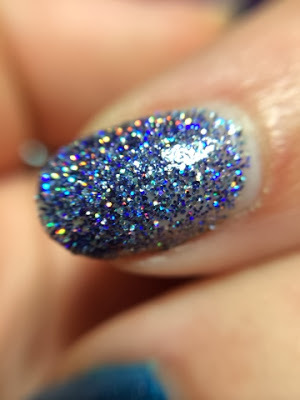 I layered 1 coat over Zoya's Ali. 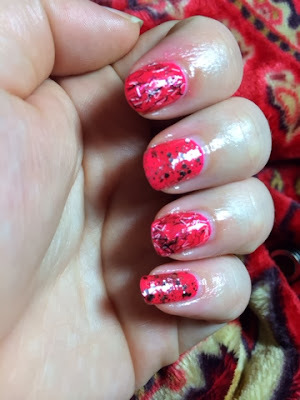 When layered over a hot pink polish it had a Rose gold appearance. I love the mix of the various sized hexes. Another great collection and has me wanting to see what SinfulColors will be launching next. Which of the collection are you looking for? These are such beautiful colors - they are so vivid! I love the glittery colors - definitely glad that style is in right now! And just $1.99? If it weren't 20 below, I'd head to Walgreens right now, guess I know where I am going later this week! I absolutely love the Top me off. I love sinful nail polish. I'll have to keep an eye out for this one. Thanks for sharing. 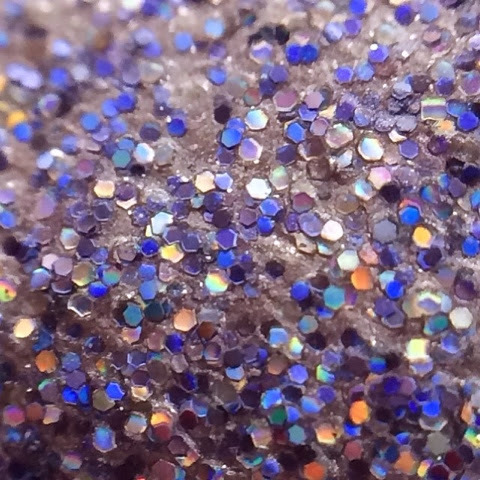 I love glitters and sparkles and these colors are amazing! 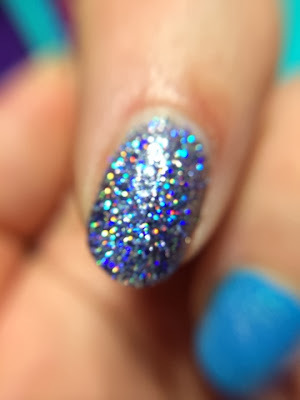 This would look great on my vacationing toes lol I love glitter so I am going to have to check this out!